I ended up releasing an update for this game last night. Consider this an informal #notGDC style announcement! Not at GDC...yet, but available for everyone here on itch.io! Legends of Astravia is a classic RPG, based on some of the best JRPGs from the Super Nintendo era, such as Chrono Trigger, Lufia II, and Final Fantasy. It features a fast-paced ATB combat system, engaging story, and expansive world. It's only partially developed right now, with a ~3 hour demo available of the first area and dungeon of the game. This game has been in development since the 2017 Indie Game Making Contest, hosted here two years ago, in which it ranked 29th out of the 220 entries. Here's the original entry page! I'm currently working on the next update, which will include a lot of quality of life changes, new graphics, and bug fixes--before moving on to making some massive content additions and changes that will bring the game to Steam. I hope you'll follow my progress! 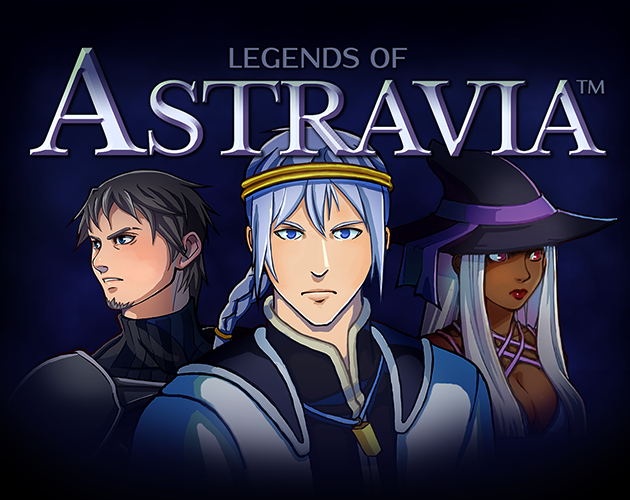 Legends of Astravia community » Announcements · Created a new topic Welcome! Here is an official message board for Legends of Astravia. You can post public feedback, bug reports, or just discuss the game here! I don't expect much activity while the game is young, but I look forward to seeing new members in the community as the game's development progresses. Hey, this is super awesome to see! I will definitely check it out, I'm glad you're continuing the project! I'm actually glad I got the chance to play your game. I enjoyed how much different it was from the other games (no turn based combat)! The combat was definitely super unique. Disabled dash in place of a "speed" buff: I'm not too keen on this. It makes moving through your maps begrudgingly slow. I think having a dash option--especially with a sort of action-based combat, is much more handy and will make the game play smoother. I liked the save points. I actually might take some tips from you on this--I enjoyed that it opens up the save screen for the player and that it's clearly presented. Pixel movement was very cool, but it actually works against you here. I noticed it's actually more difficult to line yourself up with enemies and hit them, and I think the pixel movement is responsible for hits not registering on the enemies (I found sometimes I would hit an enemy, and it would take no damage!) If you really enjoy pixel movement, I suggest offering some sort of "strafe" option so it's easier to line up attacks. The shop view change was a nice little detail. I think people take for granted how awkward a small shop looks on a big map, so this was refreshing to see. Enemy quantities/Balance/Rescuing Souls: Enemy quantities are insane, I found myself getting trapped by droves of enemies which was really frustrating. I think you should reduce the amount of them, and more enemies should drop crystals. Rescuing souls, conversely, seemed to have no real incentive. I found myself getting 1 or 2 crystals for rescuing them, and was surprised that there was no HP recovery. I'd definitely make it more worthwhile for the user to rescue them, since it seems to be a primary mechanic in the game. A status menu to explain buffs, current effects, etc. would do wonders. Cracks in the wall: Make them treasure! So much potential here. Let me break em down for cash and crystals!